It's a new playing opportunity for people in a more flexible format to suit ever changing lifestyles because if you’re one of those that can no longer play on Saturdays because of other personal commitments, this is for you. The first game tonight is at 6.40pm between Helston and RNAS Culdrose – a local derby to begin with! Who's supplying these ''good quality grass pitches'' ? Hi Keith, think some games are played at Par running track mate. I drove past there the other night and the lights were on with some lads playing. Stopped for 5 minutes but didn’t recognise anyone. Asked Dave cos there’s not much if anything!? 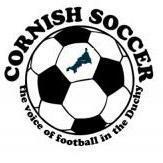 he doesn’t know about Cornish football and he said they play u21 league games there along with the new flexi league. I’ll pop down again for a bit of fresh air when I got more time. The Par pitches are rented out per match so not sure if the FA or whoever runs the leagues got a deal? Another nail in the coffin of 11-a-side Saturday football. I think the idea is for those who can't/don't/won't play Saturdays! Thanks RAPPO. Interesting - we'll see how it goes. I guess it's a good idea for those folk who just cannot play on a Saturday for whatever reason. My worry would be, not getting enough support and therefore paying for the pitches may become a problem. We will see. Ran into a slight problem apparently tonight as Penwith College this morning cancelled the use of the pitch! I believe they double booked the slots with Exeter Chiefs. Easy to forget I imagine..